My Penguin launched on the App Store earlier today, and it was definitely worth the wait. I’m dead serious, this application is amazing. 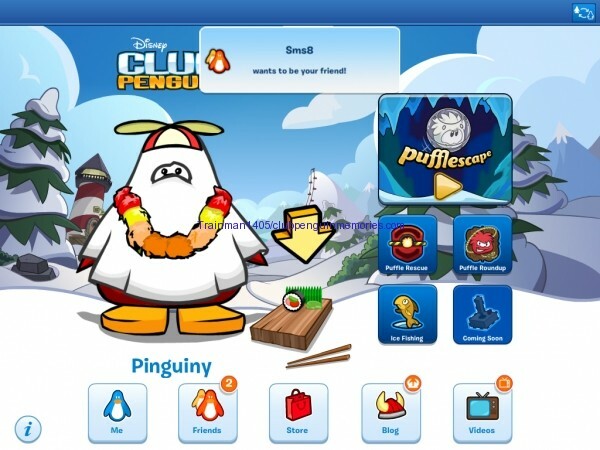 Puffle Launch on mobile devices doesn’t even come close to the full Club Penguin experience, but My Penguin does a great job at making it a reality. You can do quite a bit from this currently iPad only application. 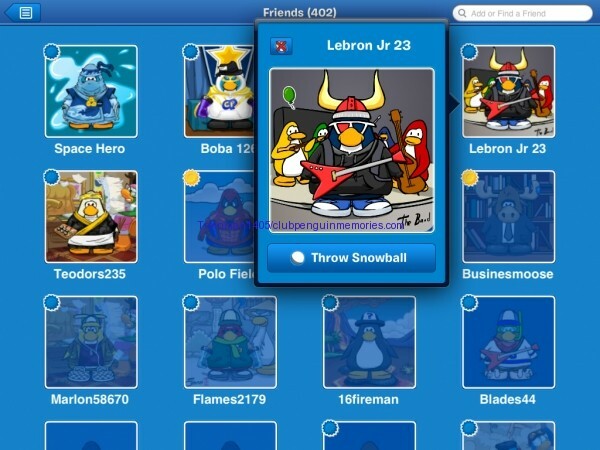 You can manage your buddy list, change your outfit, buy some clothing items, and even play games for coins. The best part? It all automatically syncs with Club Penguin. It’s that awesome. 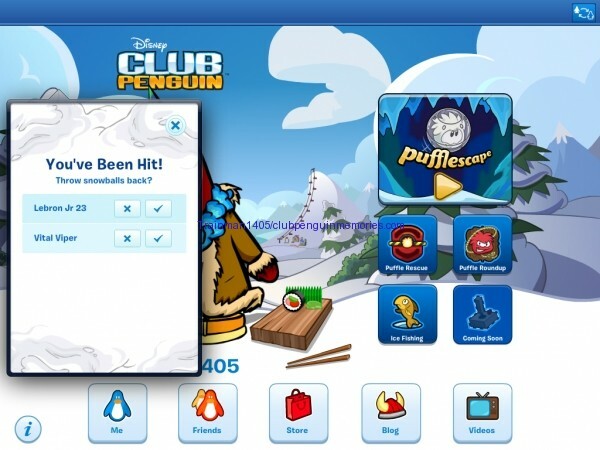 Club Penguin has spent more than a year, maybe even two or more working on My Penguin. All this hard work has really paid off. It’s everything you would expect this application to be like. 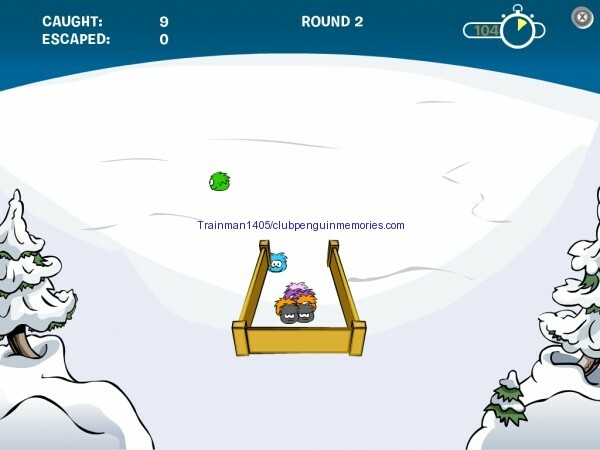 It truly is like Club Penguin on the go, on a smaller screen. Throughout this review I’ll show you pretty much everything in the app, include a few videos, and even talk about my opinions on some things. Let’s get started shall we? First thing is first – the initial game launch. 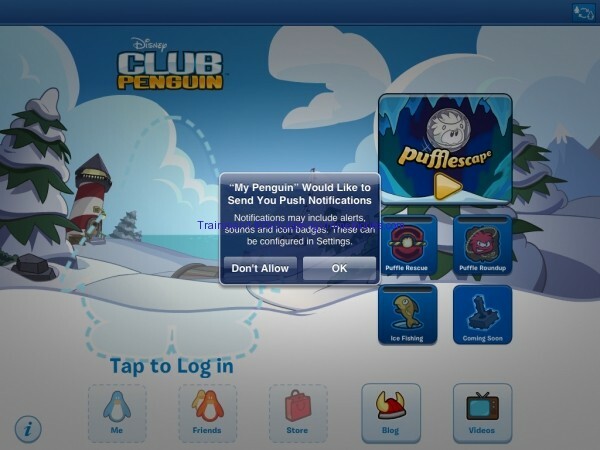 When you open My Penguin for the first time you’ll get a popup saying that the application would like to send you push notifications. Hit “OK” if you want them – you’ll get notifications for things such as daily sushi reminders. 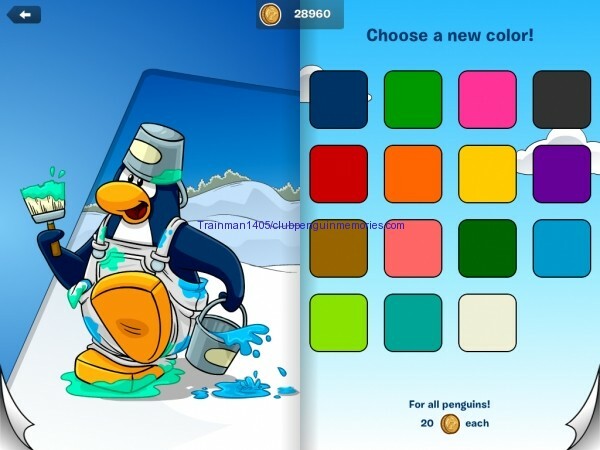 After that, tap the blank penguin outline to login. 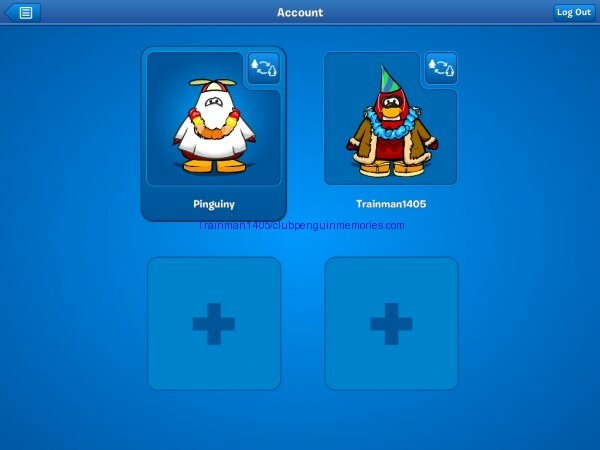 You can have up to four penguin accounts added – more on that later. 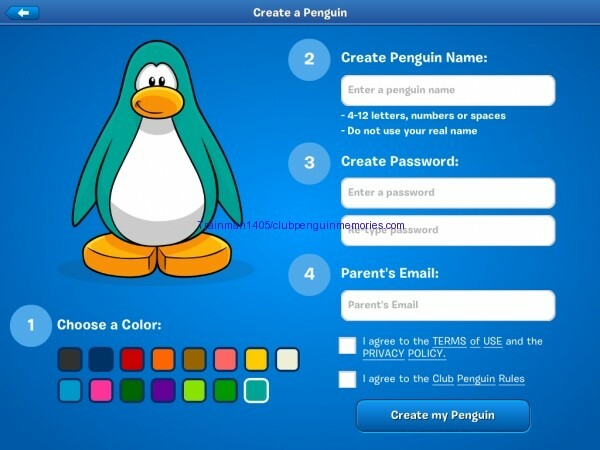 You can also create a penguin directly from the app. 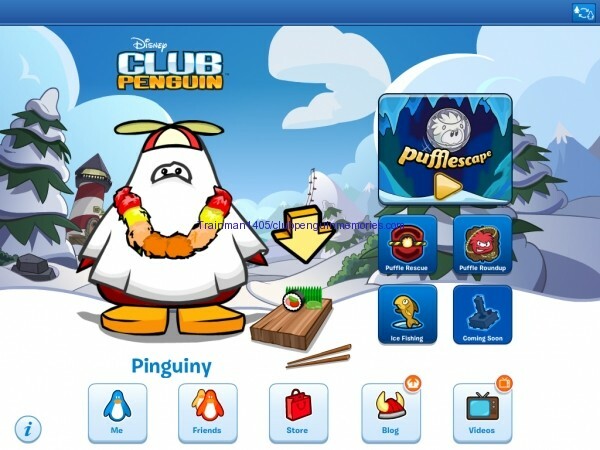 After logging in your penguin’s current outfit will appear along with the penguin name. 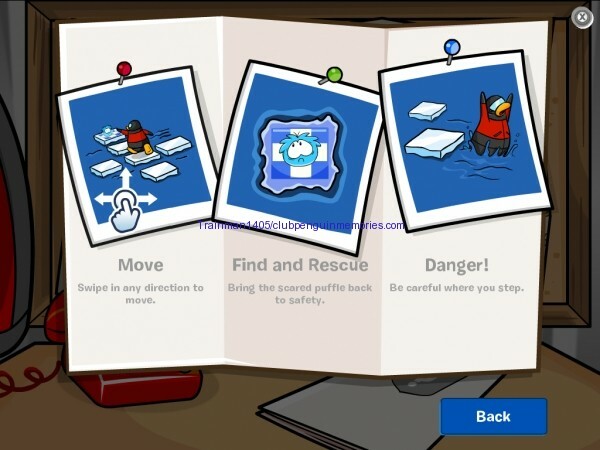 In the top right corner there is a small button to switch penguins. The application, as I briefly mentioned above, has several different key components. 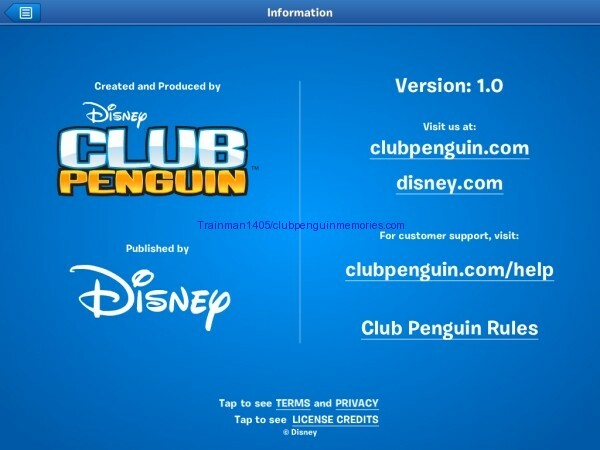 There’s the managing your penguin, playing games, and also keeping up with the latest news. All of the buttons are pretty explanatory. If you look in the image above you’ll see a little badge in the top right corners of the blog and videos icons. When you see that, tap them! It means you’ll get some sushi to play the Sushi Drop game. They’re collected from using the app. Check it out below. 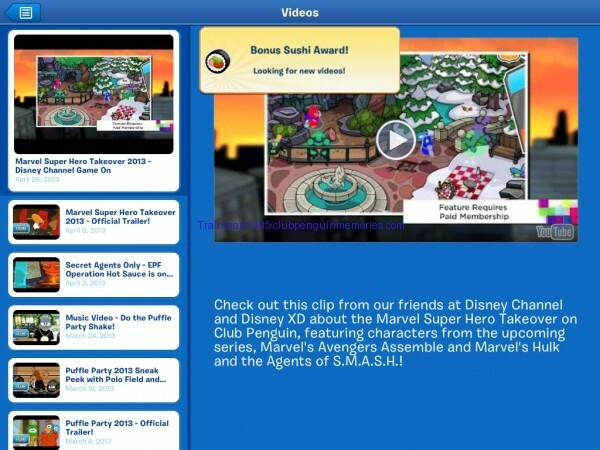 YouTube videos are fetched from the official Club Penguin YouTube Channel. On the left side you swipe up and down to view them. It includes the video title and date it was uploaded. Tapping the video brings it up to play on the right side of the screen as well as the video’s description. Tap the video’s play icon (triangle in a circle) to actually play the video. The blog is identical to Club Penguin’s regular blog. 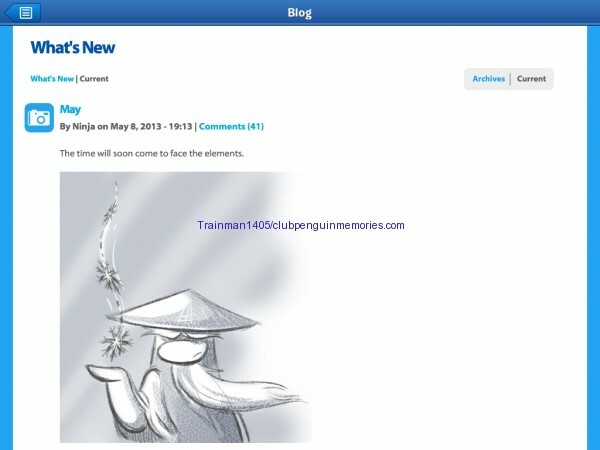 You can comment on blog posts directly from the app. Another awesome part of My Penguin is the ability to manage your own friend’s list. 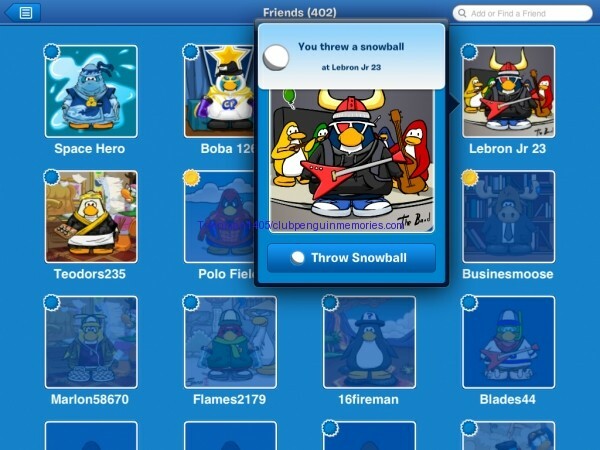 You can add buddies, remove buddies, make penguins your bestfriend, and throw snowballs. 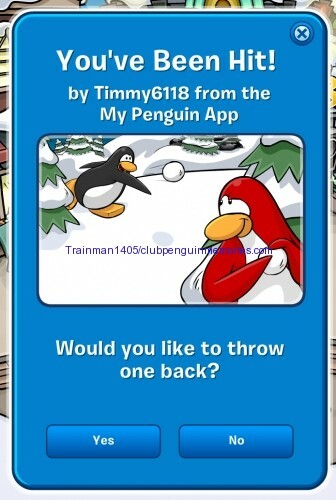 Tap on a penguin to throw a snowball at them by tapping the “throw snowball” button. 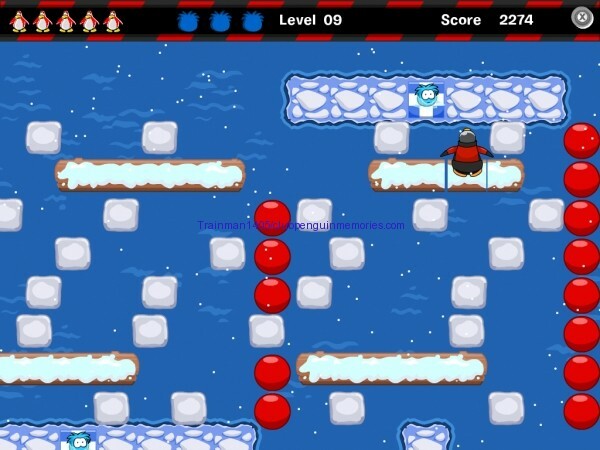 You then tap the snowball to throw it at them. It’ll appear in game and they can throw one back too! It’s pointless but still lots of fun! To remove a buddy, first you tap on their playercard icon then click the “x” icon in the top left corner of their playercard that pops up. …and I got snowballed back. 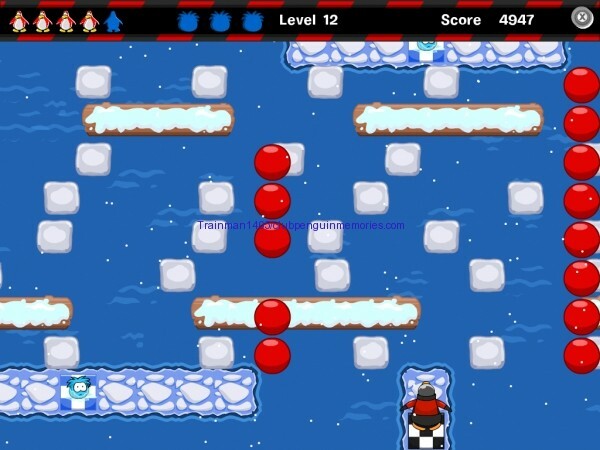 Tap the snow to see who snowballed you and throw a snowball in return! In the regular Club Penguin if a penguin is in My Penguin it’ll say “mobile” on your buddy list. If someone throws a snowball at you it’ll appear on the screen. Click it to send one back! Clicking it brings up a popup looking like this. Hit yes or no or just close it, whichever you want. If you send one back it will tell you it successfully done it. 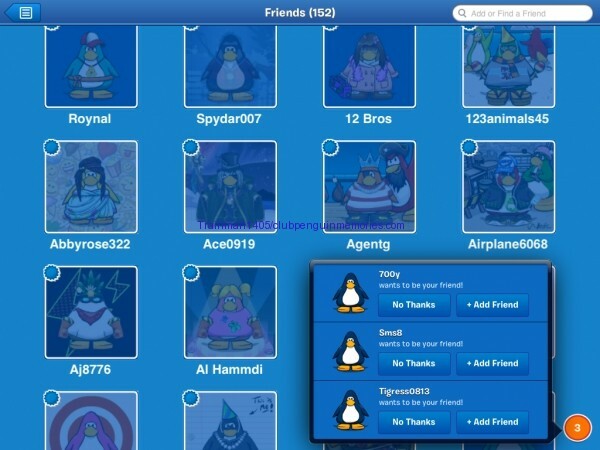 Another feature of my penguin is sending friend requests. 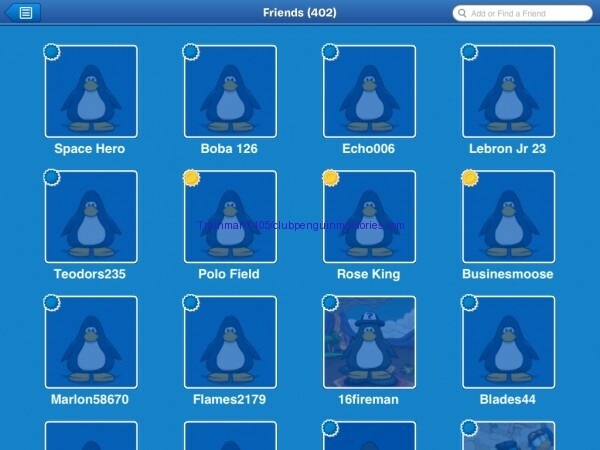 To add penguins you tap in the search box in the top right corner, type in their name, then tap the add friend button as long as the penguin is found. Now, earlier I mentioned you can have multiple penguins in the application. That is true. On the main page, when you tap the icon in the top right corner, it’ll bring up the accounts page. Simply tap an empty box to add a new login. 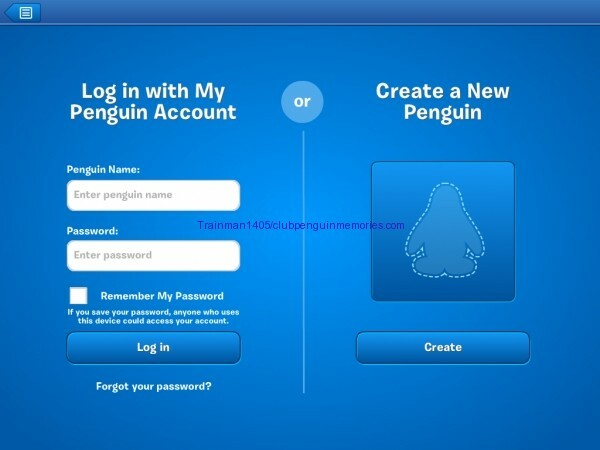 Once you login it will switch to that penguin. 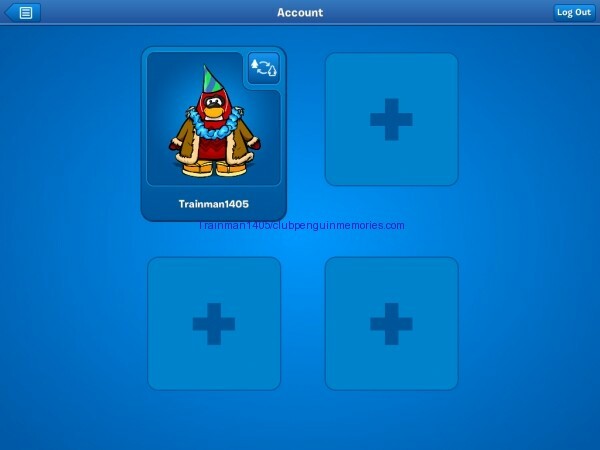 You can switch back by returning to the accounts page and tapping the penguin you want. It does notify you of friend requests, too! 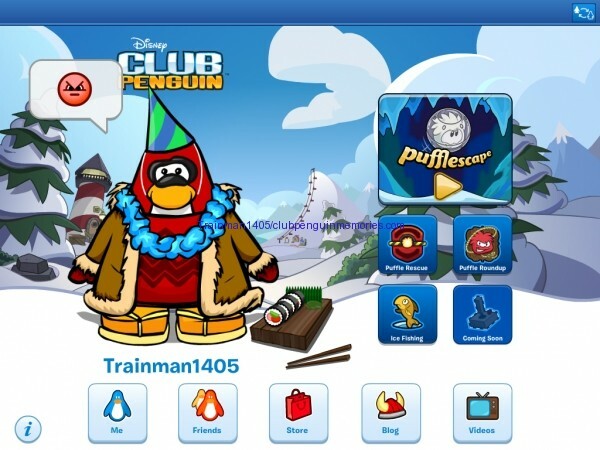 I can’t add (send or receive) friend requests on Trainman1405, but on Pinguiny, a friend’s penguin that I own, I can. As a result, as soon as I logged in I was notified of friend requests! I had two, as there is a “2” on the friends button. …and then it changed to 3! I went to the buddy list and in the bottom right corner there was an orange 3. Tapping that opens up the friend requests you have. It’ll list their name, outfit once it loads, and gives you the option to say yes or no. I of course said yes. What’s really nice is you can switch at any time. Right after accepting friend requests on Pinguiny I switched right back to Trainman. This app is fast and responsive. It’s great. You can also tap your penguin to make different emotes appear. Try it! You might also get this popup after an hour or two of gameplay asking you to rate the app. Nothing major, do it if you want. 5 stars for sure! Now for what will probably be one of the most popular parts of the app – changing your outfit! 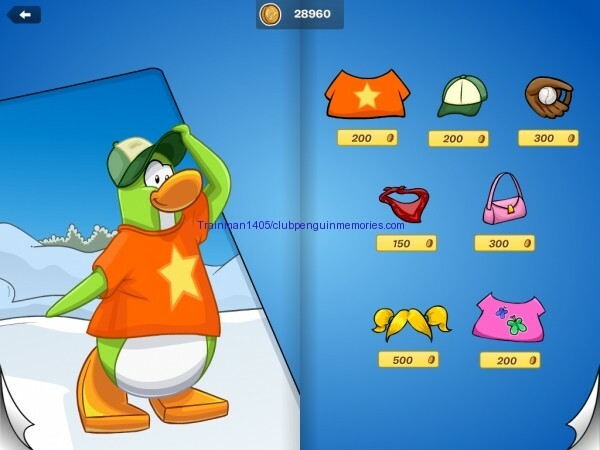 Just like on the regular Club Penguin, items are organised by type but you can also view them all at once. You use your finger to swipe up and down through your inventory. 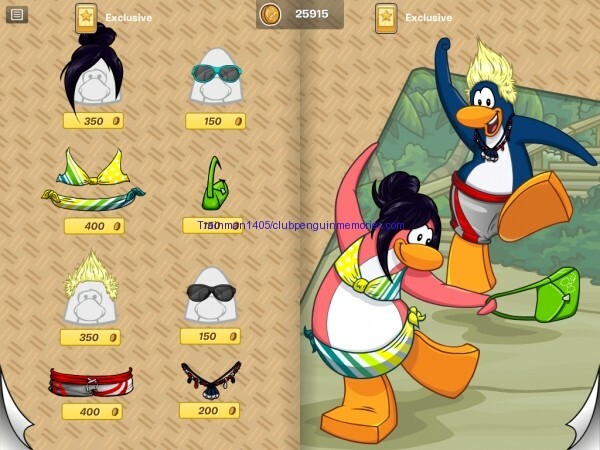 Tap on the items on your penguin to take them off or just tap the item you want to wear in your inventory. Your playercard also shows your membership page and current amount of coins. You can also access a catalogue from this app. I do not know how often the catalogue will be updated. Based on it reading “May 2013” on the cover, I think monthly. Here is the full catalogue. 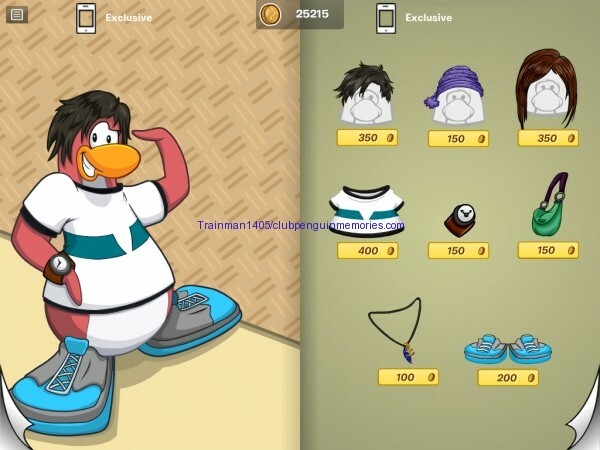 A lot of it is recent items on the regular Club Penguin game, but there are some pages with mobile exclusive items! Pages with the membership badge are items requiring membership. Pages with the mobile icon mean they’re mobile exclusive items. 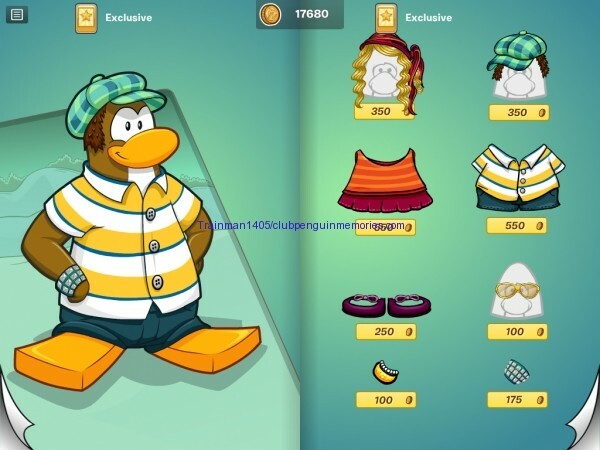 Pages with the mobile and membership badge icon mean they’re mobile exclusive items for members. To get an item tap the buy button or the item. If you already have it it’ll tell you. From here to the flag pins are mobile exclusive items. 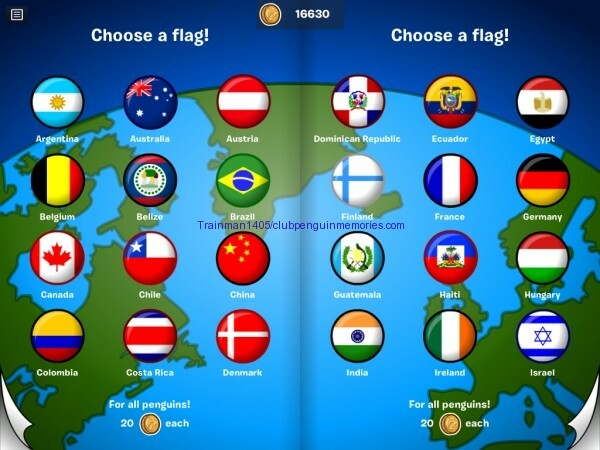 The most important part of the My Penguin app is probably games. 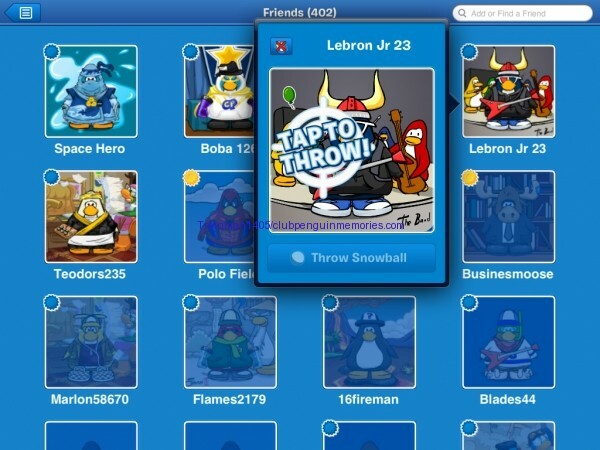 Games, just like in the regular Club Penguin, are played to earn coins. 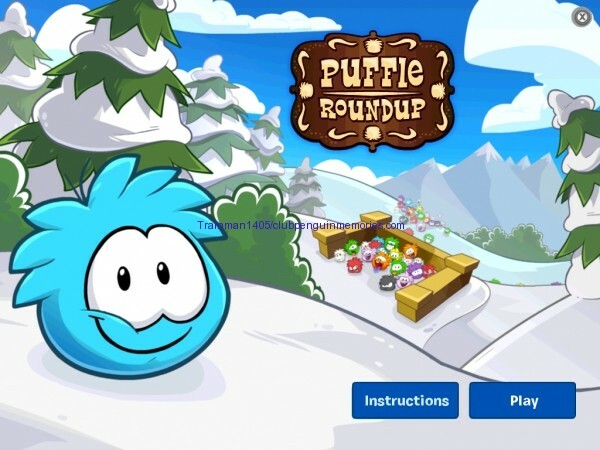 As of writing, there are four: Pufflescape, Ice Fishing, Puffle Rescue, and Puffle Roundup. There is also a fifth one in the works, but it is unknown which. I’m able to talk about all of them except Pufflescape, which would not work. (probably because I was playing it on the iPad 1 which isn’t supposed to have the app! Directions on how to do that can be found here) All games are just like their regular version, but instead of a mouse you use your finger or fingers – whatever you find comfortable! 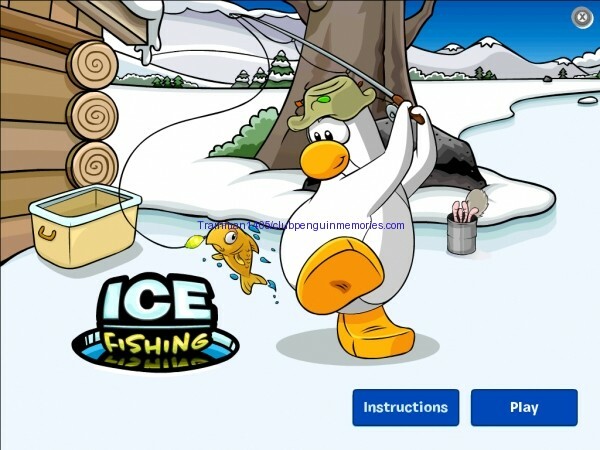 Let’s start with Ice Fishing, shall we? The game is nearly the same as the regular version minus a few small differences. There is no Flashing Lure Rod, only the regular rod. There is also no mullet. 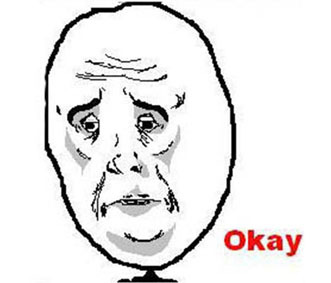 You only get up to 60 fish and then the game ends. Gameplay is the same. You use your finger to play and move the rod. Tap the screen and move your finger down to move the line downward, do the opposite to bring it upward. 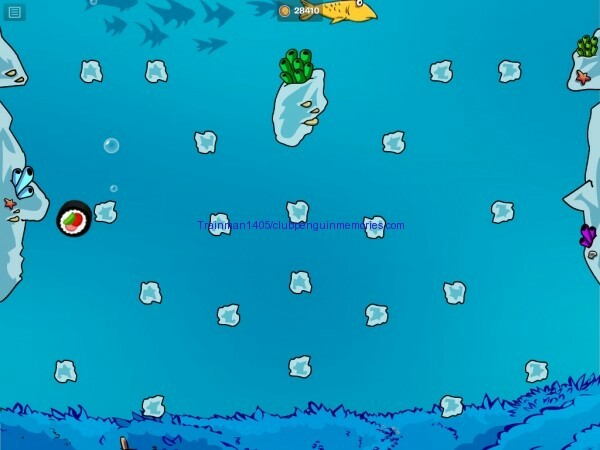 Once the fish is above the ice you tap above the ice (if you tap below the line goes back down to where you tapped) to put it in the cooler. 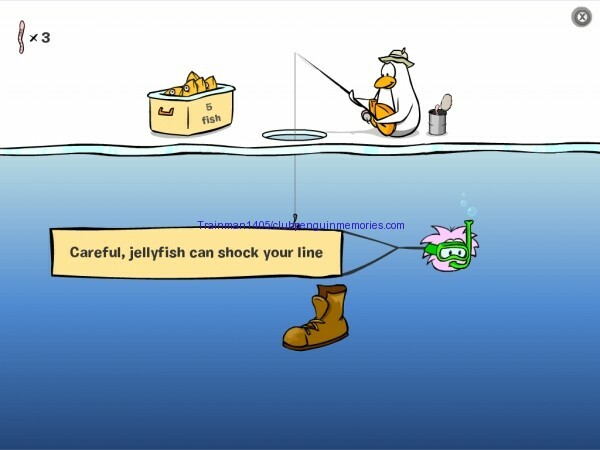 The game has the same obstacles like jellyfish and boots as pictured below. 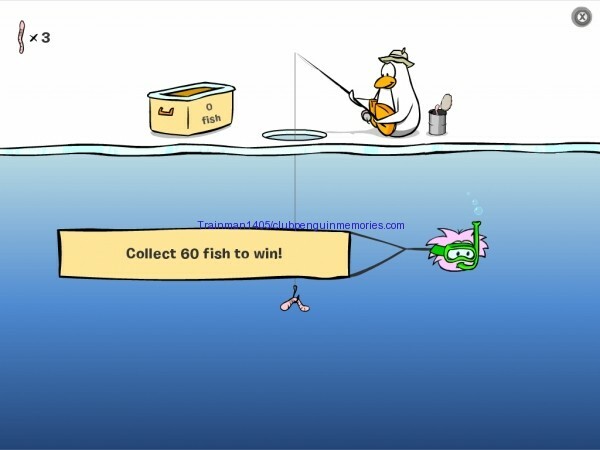 Once you reach 60 fish the game ends and you can collect your coins! 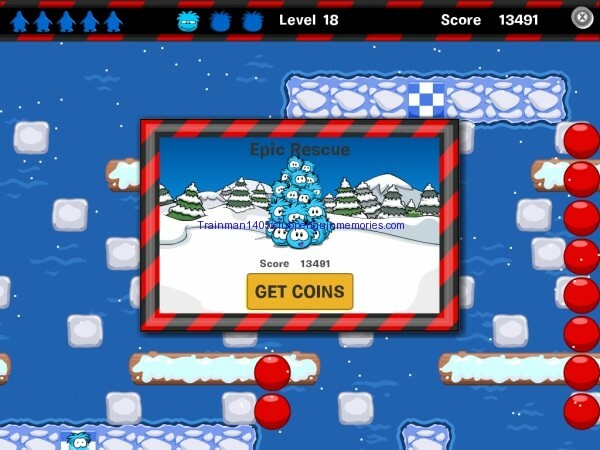 Now for Puffle Rescue! 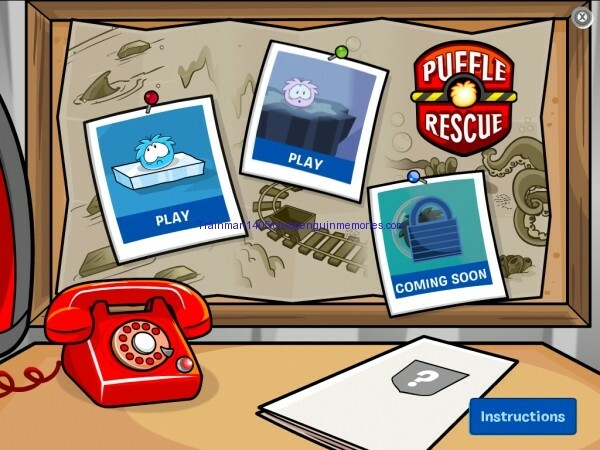 Currently you can play the Blue Puffle and Pink Puffle levels, with the Black Puffle levels saying “coming soon”. This is a lot of fun on the iPad. 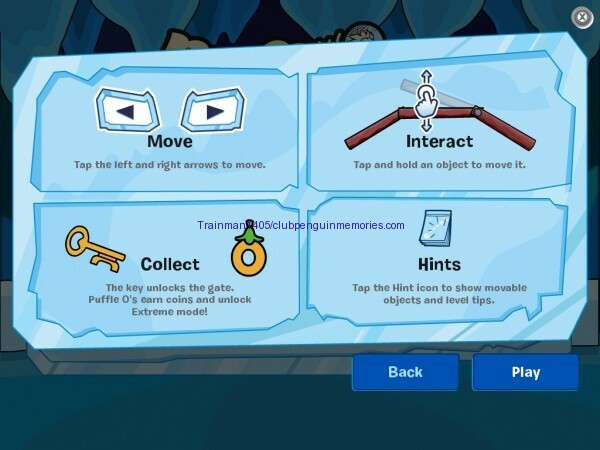 Rather than using your keyboard’s arrow keys like on Club Penguin, you continuously swipe in the direction you want to go! It’s a quick way to get coins – I got 13,491 in just 18 levels! 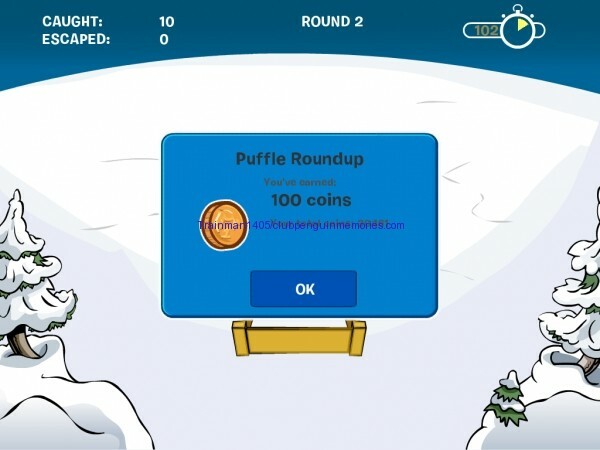 Puffle Roundup is also another game in My Penguin. The game is the same as the regular online version, but you use your finger to round them up! It takes a little practice but you get the hang of it. Now while I can’t get Pufflescape to work on the iPad since it’s not officially supported, 16 levels are currently playable with more coming soon. Now for the final part…sushi! Sushi is earned through using the app. Overtime you collect more and more. The sushi can be used to play the iPad only sushi drop game. The game is like Plinko, if you’re familiar with that. You drop a ball (in this case sushi) and it falls down a maze going whatever way it pleases. 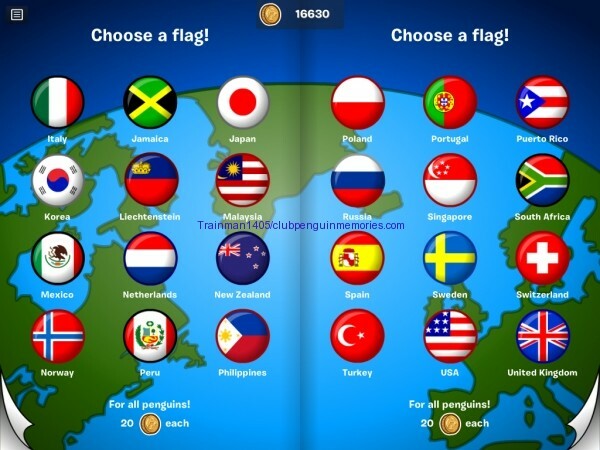 To access sushi drop, on the main page with your penguin you tap the sushi tray. To start the game you tap the tray and aim where you want the sushi to drop. You watch it fall down and hit rocks and move all over. 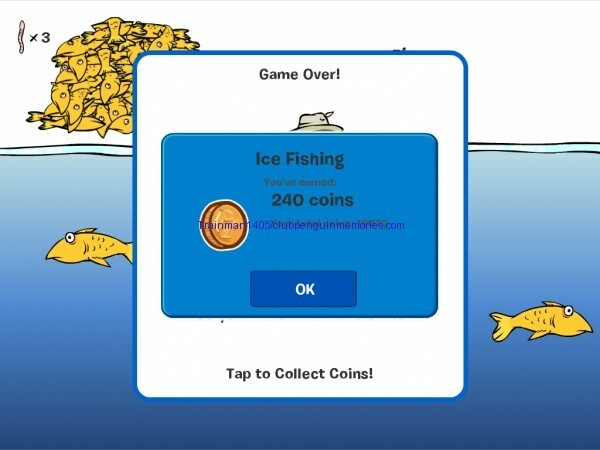 Hitting fish gets you extra coins too! At the bottom there’s clams, each with a different amount of coins. 150, 200, etc. …and so on. There are collectable items, too! Also, because the game uses lots of images, you can easily edit it to your liking if you know what you’re doing as demonstrated below…I got rid of the background and made it say my name. ;) Only you see this change. 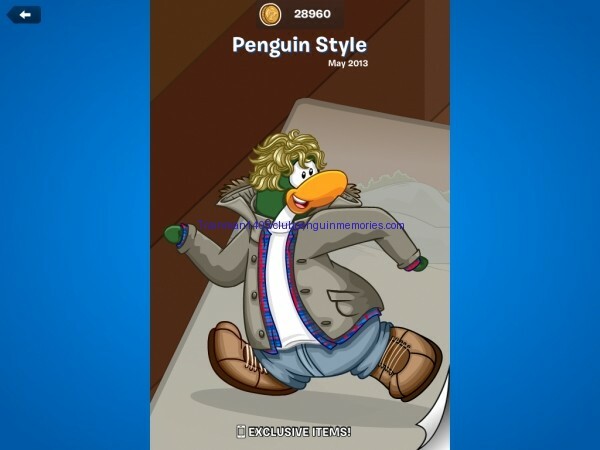 That’s about it for the My Penguin overview! Now for a quick review and opinion on it. The bottom line is, if you’ve got an iPad, GET IT IF YOU CAN. For what this app can do, especially since it’s free, it’s awesome. You don’t need to be a member on Club Penguin, you just need a penguin account, an iPad, and iTunes. 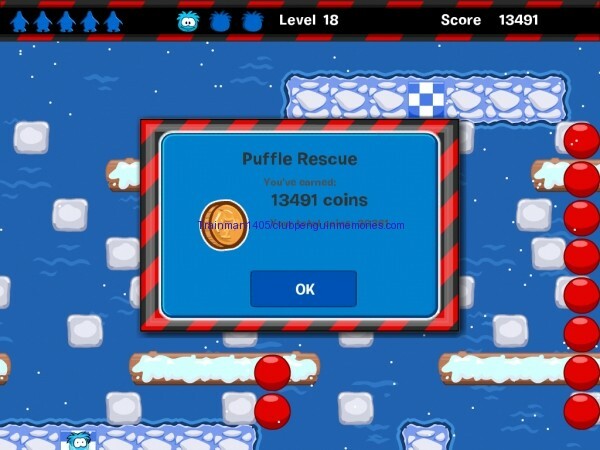 This app puts Puffle Launch for iOS and Android to shame. 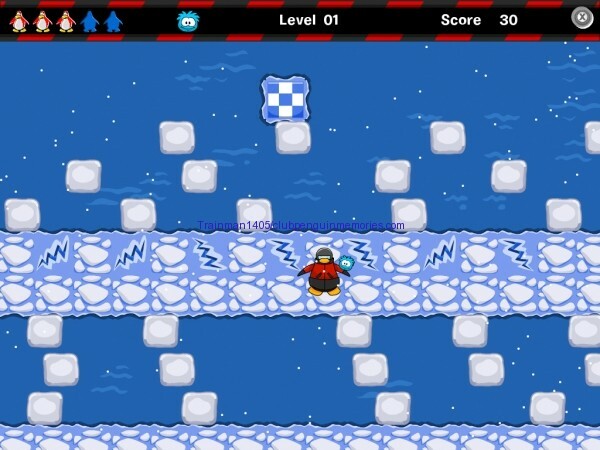 My Penguin has countless hours of gameplay – I spent over an hour playing the games and trying everything out before writing all this! It’s far more fun than Puffle Launch. 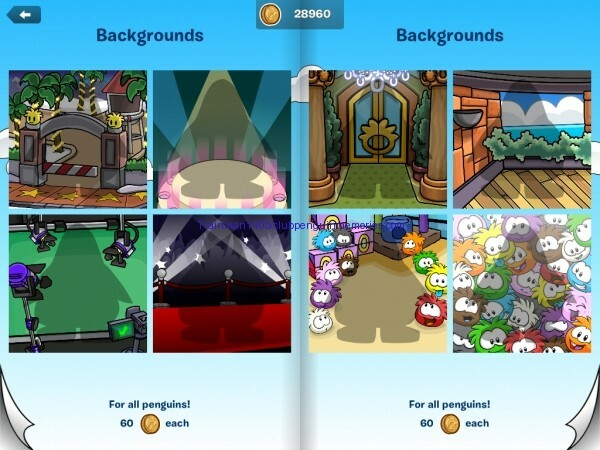 My Penguin has done a great job at bringing key aspects of the Club Penguin game to a mobile screen and I can’t wait to see what else Club Penguin has planned for the future. I’m sure they’re already working on the next update, as there are more game levels coming soon and they already started translating it to Spanish, French, German, and Portuguese – I was looking at the app’s files and saw some of the language translation is already in progress. The game has only a few small bugs – nothing major at all. The gameplay is solid, there’s lots of features already…it’s basically got everything you could ask for. 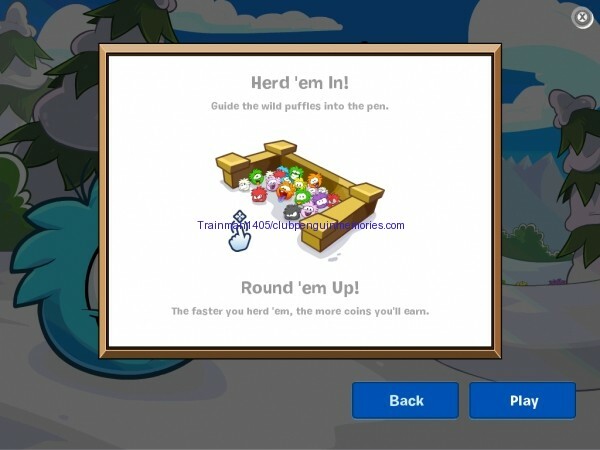 Maybe in the future we’ll get the messaging feature Spike Hike teased in January, the ability to edit our igloos, or even more games? Multiplayer games would definitely be cool! 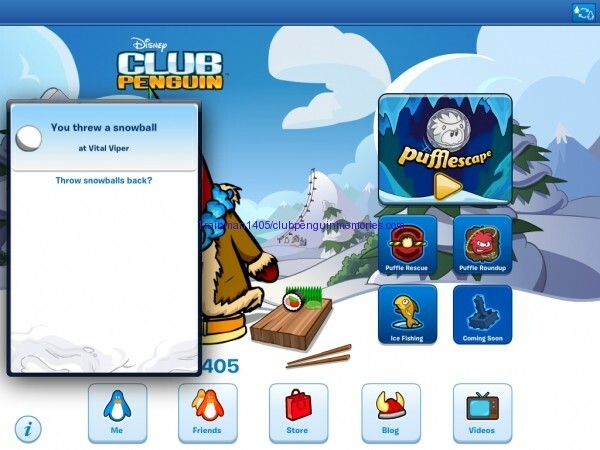 What else would you like to see in My Penguin that currently is not there? And if you’ve got the application, are you liking My Penguin as much as I am or are you disliking it? 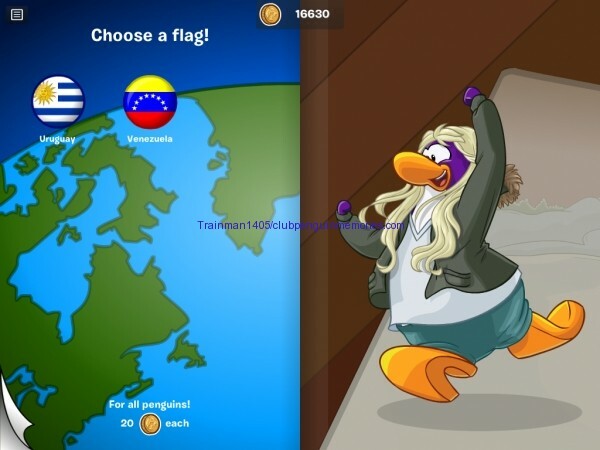 In closing, to the Club Penguin Team, I congratulate you on such a fantastic job well done. Waiting and putting in so much time and effort into this app has really paid off. And to those with an iPad, what are you waiting for?! 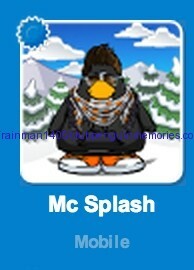 Download My Penguin now! Get it free on the app store here. 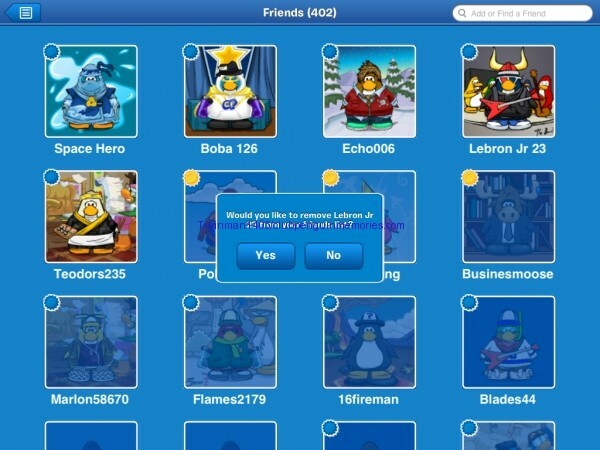 You can view Club Penguin’s commonly asked questions and answers about the new app here. I saw two new notifications! Thanks, I added it to my minor CP updates post and credited you. Hey! There is one more minor (really minor) update! 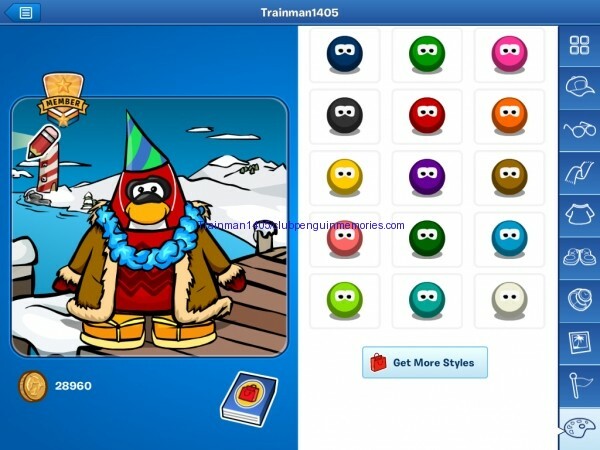 The look of the speech bubbles of CP has changed a bit and now the lines are a bit starreged. And there is a new bug. I tried and see what it does: If you say ex. : HEEEEEEEEEEEEEEEEEEEEEEEEEEEEEEEEEEE over the typing window it appears a HEE and more Es you type, more left the sugested word HEE goes! Train, do you know your Apple ID? I need to download the My Penguin app. Please reply. 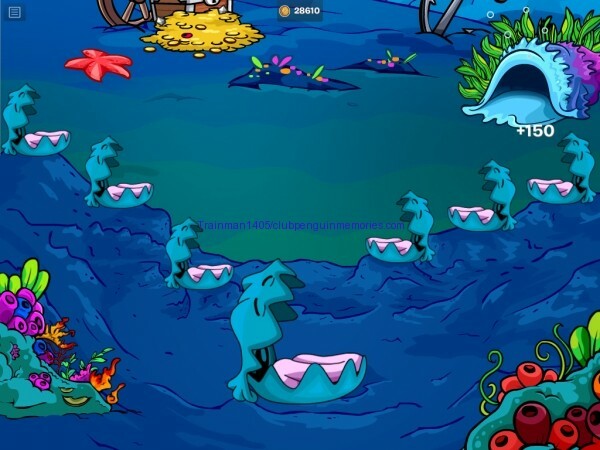 Easily one of the best and most informative Club Penguin posts ever created. Trainman never disappoints in delivering truly outstanding content and this post fell nothing short of amazing. 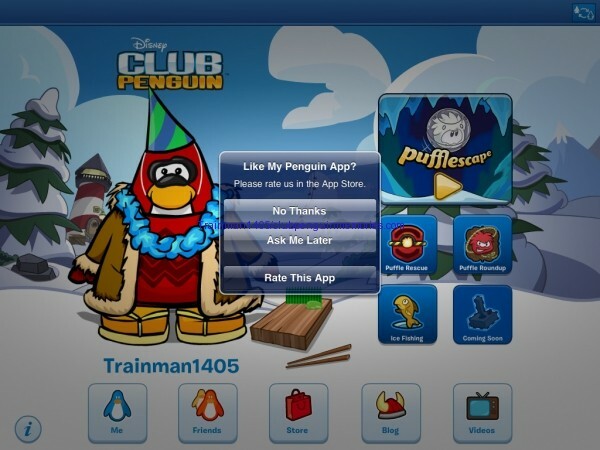 My Penguin is an amazing application and I love the fact that Trainman did the app justice by making an amazing post to go with it. Thanks for keeping us informed. 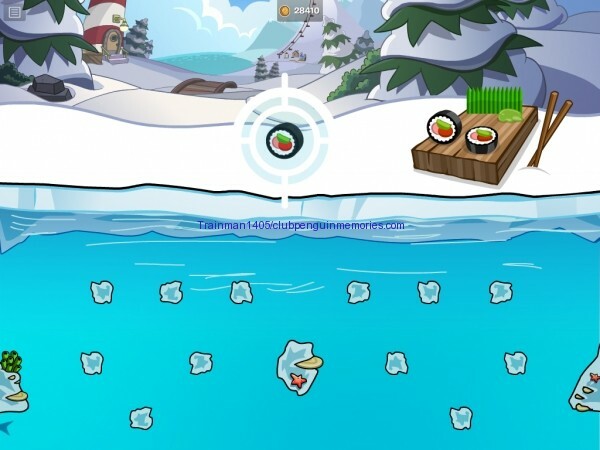 Train in the game sushi smash you can get a backround too!It is the ice fishing backround. 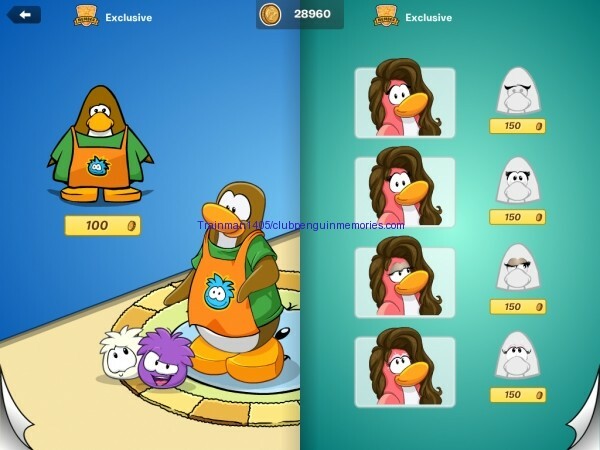 OMG, do you know how many of those exclusives were found in Club Penguin files so many years ago, and now they are FINALLY released? Lol, Club Penguin takes too long. So mobile exclusives transfur to ur cp account and the grey ones mean non-members but the gold ones mean member mobile exclusive! Right? 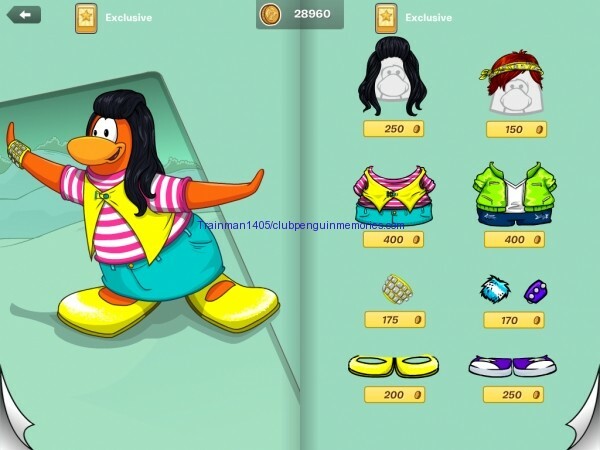 I really want the Exclusive Catalog!!!!!!!! 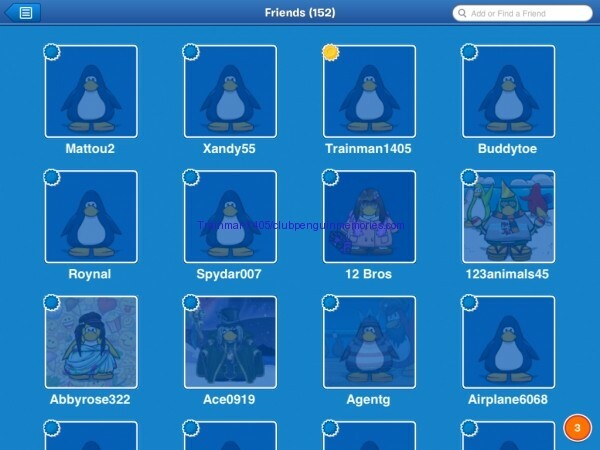 I’m in the friend list images for Pinguiny!!! Train can you play as me on that app and play sushi drop and get the items and i will earn coins ok? 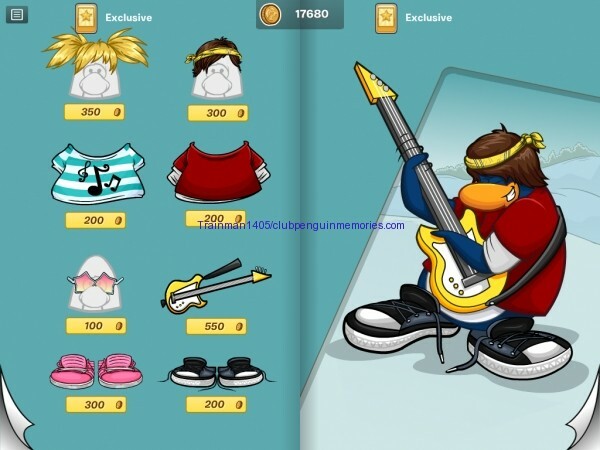 But please i really want The trill bill, Yellow Bass Guitar, Slate United Sneakers, Off the cuff, Grean high tops, White Electro Shirt, Green zebra scarf, Green Scene Jacket, Purple Sneakers, Sweet Spikester Cuffs, street surf shorts, goes with everything shirt and well thats it but please answer i really want those items and i will earn coins for them you just buy them ill give you my acc if you say yes please do!! Sorry but I won’t do it, if I say yes everyone is going to ask me and I don’t have the time to get these items for everyone. I’ll be creating a website for requesting items. Don’t worry everyone. .3. Your hand… it’s, it’s, BEAUTIFUL. ppppffffffffffffffffff hahahahahahahaaaaaa!!!!!!!!!!!!!!!! LOL! (hee hee heee!). sorry but that’s just hilarious! Thanks, I edited my minor CP updates post with that and the buddy list thing. Were is that page? Lol My laptop is just broken it does not click well can you give me the link? 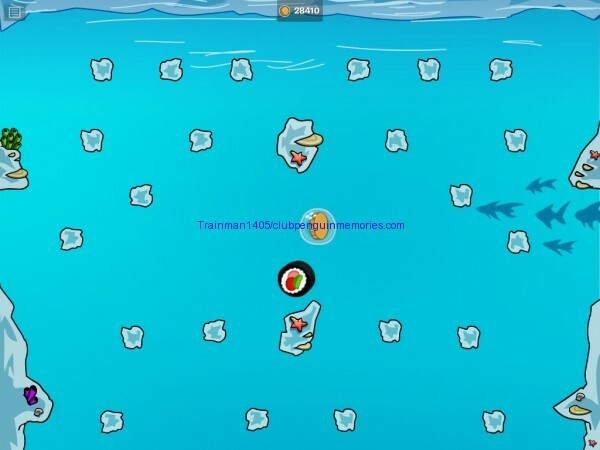 Just wondering, do you know all the items which can be obtained in the sushi drop game? I only got the sailor hat from April 2008. I know it gives out a Hidden Lake background too. HIA! 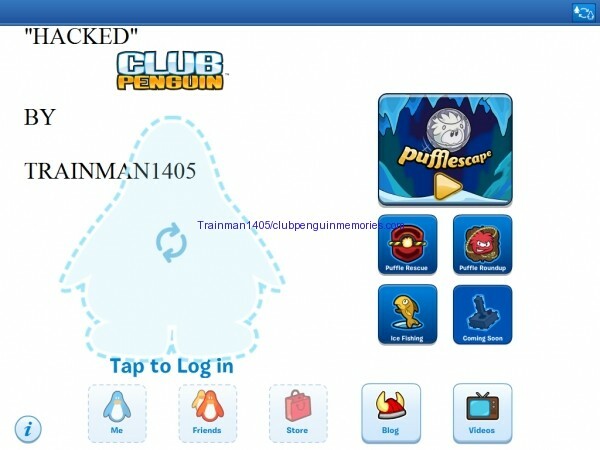 It looks so cool exxept whenever i try to log in it says club penguin is not currently available :-( how to fix?? Everyone’s having that issue right now. Oh, but it worked for you? It did, but now it doesn’t. Just got it! It’s amazing. I have an iPad, but I don’t use it that much. Still, I definitely want to try downloading this if I ever get to it, the Sushi Drop game especially looks interesting. I’m glad they finally released some of those items that had been floating around in their files for over a year with the app (now we know what the “3” means in the files). Wait Train I was searching around and I couldn’t find the app! what should i search? And is it Itunes or The App Store? The iTunes app store. You search ‘My Penguin’. what is it? WHAT IS IT!!!!!!!!!! I saw the weirdest thing Candace was ONLINE! I cant believe she would even be on. Was is a Hacker or s normal Bot. TRain i have been copy and pasting ur postes i hope its okay i give credit to you all the time tho! There’s a Hidden Lake background too. 1. There is a bug – if you wear the Nautical Necklace (from the app), in-game you show up as Old Blue but it doesn’t go Old Blue the player card. 2. The friends list has been updated – it use to say ‘Dock’ or ‘Town’ or ‘Forest’ or something but now it just says ‘Online’ or ‘Mobile’. Wait, I’m confused, seen what? The Twitter? Oh, yeah. I’m aware of all that. 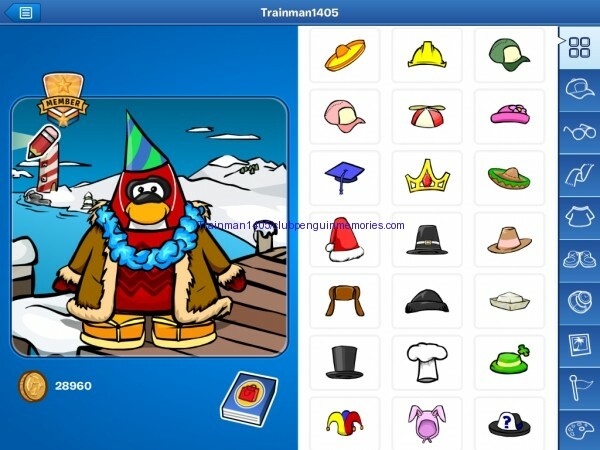 Hey Trainman1405,how do u create my penguin icons? I edit the iTunes icon in Paint Shop Pro. I don’t really mind if it comes that late for Android. Cuz I just started saving up for a Samsung Galaxy Tab 2.7.0 :D Wish me luck! Train! Sensei’s icon changed on the Buddy List! New message from the Director! Yeah it’s actually old, CP messed up. I’m not posting it since it’s a bug. Thanks anyway! Train!There is a new message on the spy phone!But it’s a glitch I think. train give me an ipad please i want the app waaaaaaaa pleas bro,i think is top 4. Yeah, it’s a bug. Idk why it happened. I wish they redesigned the In-game friends list and eliminated that annoying lag-out bug but yeah, cool post! Train, can you add me in CP (Trainman1405)? If you can’t, can you delete one that is NEVER talking to you? I’d have to delete over 400 friends to add more which I’m not doing, sorry. You re friend with polo field! Me I m just friend with Loustik005 Happy77 and Billybob!!!! Do you know when it will appeare on Ipod touch? Most likely later this year. 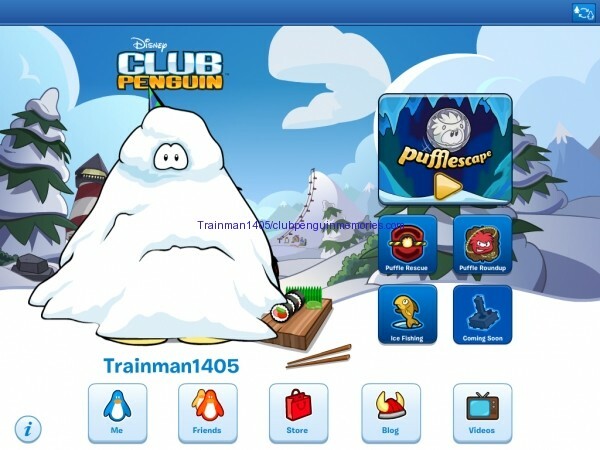 Trainman, are the exclusive items for everyone? Plus, do you know when it will be out on iPod touch and iPhone? Some are, yes. And I do not. Most likely by the end of the year. Thanks Train! 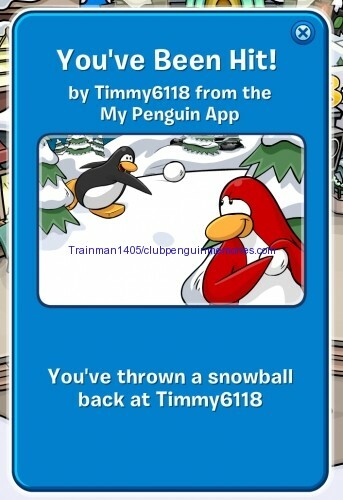 I got My Penguin on my iPad 1st Generation! My Penguin doesn’t involve being a member or not though, with the exception of some catalogue items. I’m not getting anyone the items, sorry! 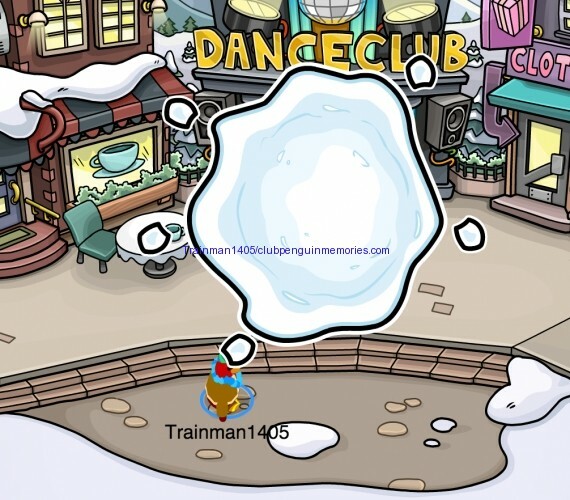 Trainman guess what? my sushi hit the giant clam on my first go. I just got the game today and when i hit it it gave me 500 coins. So can you put that in your post and credit me. Thanks. Train can I plz advertize a coin code giveaway on my YouTube channel in the comments here? o and if you didn’t get my earlier message I can finally post comments on your blog i have been waiting for 2 years lol emails finally not required. Maybe we can make a trade ? i give you an UIO code that unlocks 2 items for all items from the MP app. I’m not doing that, sorry! 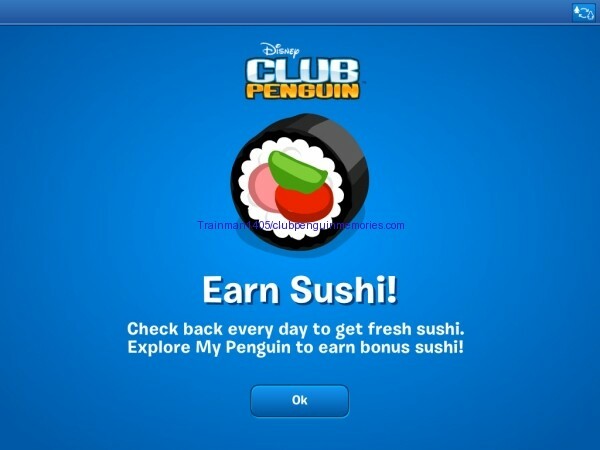 train could you tell us in another post what the exclusive items in sushi drop there are? also maybe,for people who don’t have an ipad, you can post every month the new exclusives in the catalog k?